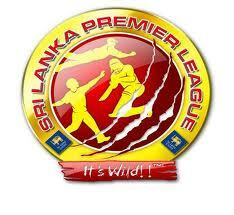 Sri Lanka Premier League (SLPL) is a T20 cricket league that was created and promoted by the Sri Lankan Cricket Board. The Sri Lanka T20 League was earlier known as Inter-Provincial T20. It is a domestic T20 tournament held by Sri Lankan Cricket Board. It is a part of Sri Lanka Premier League. It is a competition between various domestic cricket clubs of Sri Lanka. Sri Lanka started holding Sri Lanka T20 Premier League from 2004-2008, held between domestic cricket teams in Sri Lanka. From 2008, it became the main stream for domestic T20 competition in Sri Lanka. Till date three seasons of Sri Lanka T20 Premier League have been conducted and Wayamba Elevens had won all the three seasons. 2011 will conduct another Sri Lanka T20 Premier League with new rules and norms and with 2 new teams. This year the interest level is assumed to reach to zenith due to the modifications made in the rules of the previous norms. The first season that is the inaugural season was the first season of the domestic T20 Sri Lankan cricket which took place from 2007-2008. There were, total six teams, out of which five were representing provinces of Sri Lanka and the sixth was Sri Lanka Schools X1 team. The competition began on 17th April of 2008. The season conducted 15 regular matches, 2 semi finals and 1 final. The inaugural match was between Basnahira North Elevens and Wayamba Elevens. The series was won by Wayamba Elevens at Colts Cricket Club Ground. The second season took place from 2008-2009. It again had six teams in total, five representing Sri Lankan provinces, and last one representing Sri Lanka Schools X1. It also had the same pattern as the first season and comprised of 15 regular matches, 2 semi finals and 1 final. The first match was between Ruhuna Elevens and Sri Lanka Schools X1 at Moors Sports Club Ground. The third season took place from 2009-2010 was the third official tournament amongst the domestic T20 teams of Sri Lanka. Same pattern of six cricket teams, five from Sri Lankan provinces and sixth from Sri Lanka Cricket Schools X1. It also had 15 regular matches, 2 semi final and 1 final. The first match of this season was between Ruhuna Elevens and Sri Lanka Cricket Combined Elevens at Dharmaraja College, Kandy. All the teams are old except the new two teams that are Uthura Oryxes and Nagenahira Nagas and all of them represent the different provinces of the country Sri Lanka will have 1 former vice captain and 6 national captains as the captains of the teams respectively and there will be 30 international players playing in the tournament. This kind of tournament is never played and will be the first in Sri Lanka of this kind. The tournaments played in the past were very interesting and the Future is yet to come. Hope for the best and prepare for the worst. Good luck!